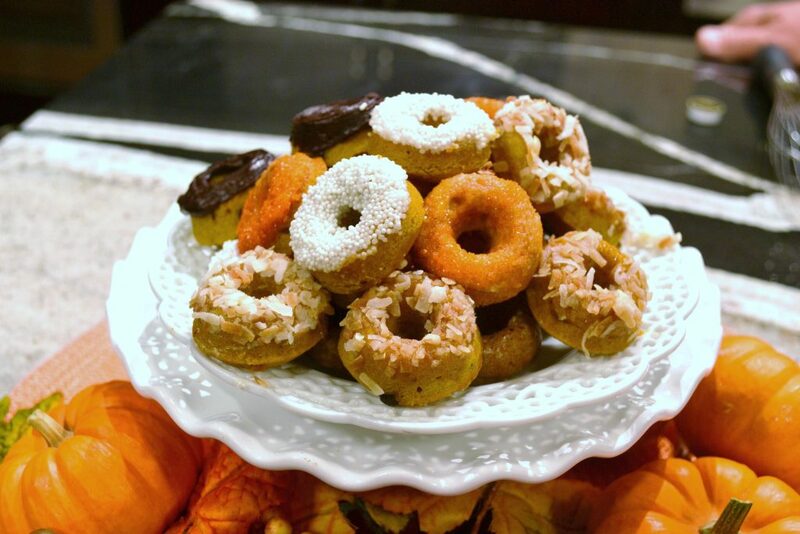 Mini Pumpkin Doughnuts contain pureed pumpkin, ground cinnamon, ground nutmeg and baked in a mini round doughnut baking pan. Baked at 425 for 4-6 minutes and decorated with toasted coconut, chocolate jimmies, sparkling sugars. Made with Libby’s canned pumpkin puree, not the pumpkin pie filling. Preheat oven to 425. Lightly spray doughnut pan with cooking spray. Set aside. In large mixing bowl, sift together cake flour, salt, baking powder and spices. Set aside. Make a well in flour mixture and add pumpkin puree, brown sugar, egg, juice, and butter. Stir ingredients to blend. 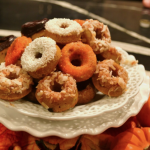 Fill each doughnut cup approximately 1/3 full, about 1/2 tablespoon of batter. Tap pan on counter to evenly spread batter in cups. Bake 4-6 minutes or until the top of the doughnuts spring back when touched. Cool in pan 4-5 minutes, remove to cooling rack. When doughnuts are cool, frost with glaze, sprinkles, cinnamon/nutmeg sugar. 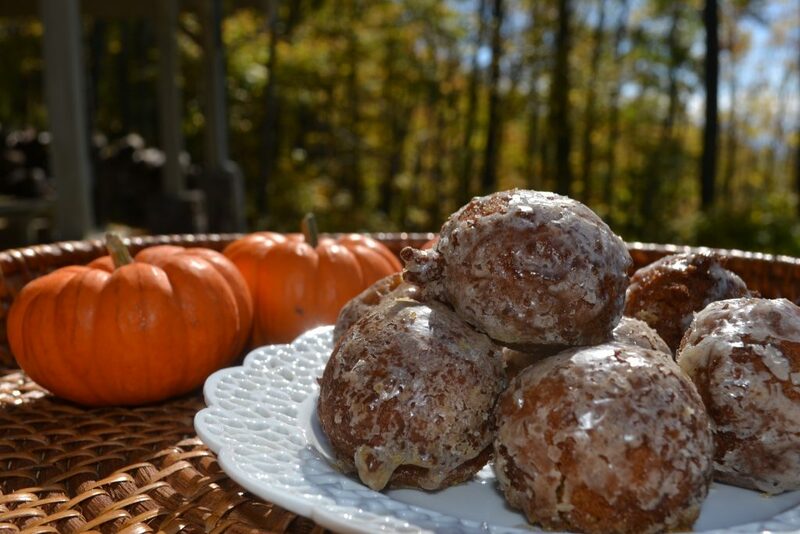 Check out the recipe for Pumpkin Spice Doughnut Holes-Cinnamon Glaze. Perfect for Fall entertaining.